Parolin Racing Kart has already made an impression at the very beginning of the 2019 season. Excellent results have been achieved in the USA as part of the Florida Winter Series, with four victories at Homestead Miami, as well as in Indonesia for the opening of the IAME Asia Series. In Europe, they competed in the WSK Champions Cup at Adria and Parolin has already taken two podiums in all three categories, a positive sign for the brand’s ambitions to progress its drivers from Mini to OK. Very well established in 60 Mini, as shown by the results and participation figures at this first event, the Italian brand has also extended its area of expertise in OK-Junior with growing representation, and finished strongly in OK, the advanced category where Gabriele Mini shone. 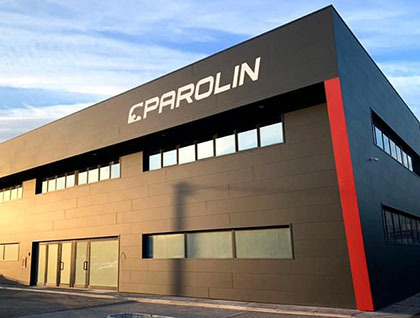 Moreover, with a factory renovated and revamped during the winter, Parolin starts the new year better placed than ever to extend its influence on kart racing in many countries. With a very convincing performance in the OK category, Gabriele Mini was able to mount the second step of the WSK Champions Cup podium, even though a technical problem forced him to start from last position in the heats. The World Junior Vice-Champion made a great comeback, reaching the front in the Qualifying Heats, then the top five in the Prefinal. He continued his climb to 2nd place in the Final, an extremely encouraging result for the rest of the season. The spearhead of the strategy for Parolin for two years, 60 Mini is undeniably influenced by the brand from Romano D’Ezzelino. A good half of the field of the WSK Champions Cup were indeed using the Parolin chassis. They took pole position and the four fastest laps, then nine wins in the 15 races, as well as two wins in the Prefinals and the fastest lap in the Final. Five Parolin chassis were ranked in the top eight in the Final. 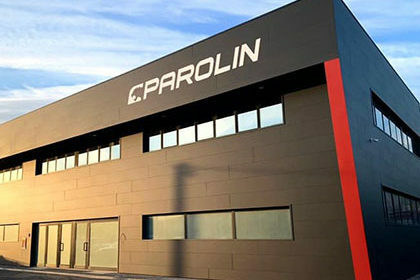 The official Parolin team relied on six young drivers, including five newcomers, to defend the colours of the factory. As soon as he arrived in his new team, Rashid Al Dhaheri fulfilled his mission perfectly as he was often in 2nd place during practice and in the heats. Penalised for his spoiler in the Prefinal, despite this he managed to get on the Final podium. Keanu Al Azhari, also from the UAE, was the lap record holder of the event, with several fastest laps in the race. Fast in Qualifying, the Belgian Douwe Dedecker was in the top 10 of the heats but had to retire in the Prefinal. The Italian Valerio Rinicella was more and more successful during the races. 7th in his Prefinal, he was delayed in the Final. The Frenchman Maxens Verbrugge reached the Final of his first race in 60 Mini and ranked 31st out of 82 despite a penalty. Chinese driver Chi Newman Zhen Rui took part in his first European competition. The results obtained last year by Gabriele Mini have had a strong impact on the competition. At Adria, the Parolin team was strong with five drivers, mostly young talents coming directly from the Mini categories. At this high level, the Italian Brando Badoer made a convincing run into the top 10 in the Final while his new teammates, the Norwegian Martinius Stenshorne and the Brazilian Vinicius Tessaro were already performing well. Like Tessaro, Alessandro Cenedese missed his qualification in the Final because of a spoiler penalty, but they caught up by finishing 1st and 3rd in Final B. The Mexican Jesse Alenjandro Carrasquero Parada for his part took his first steps in European competition.